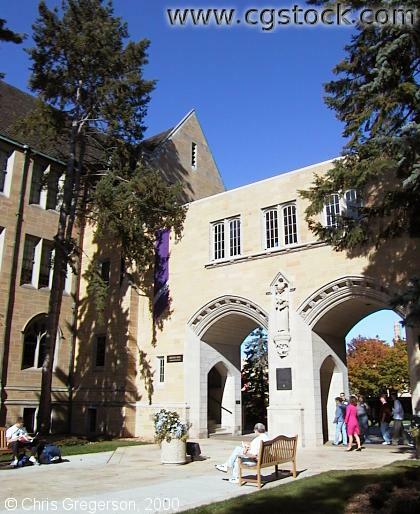 You are looking north at the entrance to the University of St. Thomas courtyard. Summit Avenue is behind you. This is near the intersection with Finn St.